Transition easily into a Virtual Environment with help from Exalticor. Virtualization is one of the latest trends impacting infrastructure and operations. It can help businesses reduce their server footprint, leverage under-utilized capacity, and more effectively manage IT resources. As a result, virtualization can help reduce energy consumption and floor space requirements. 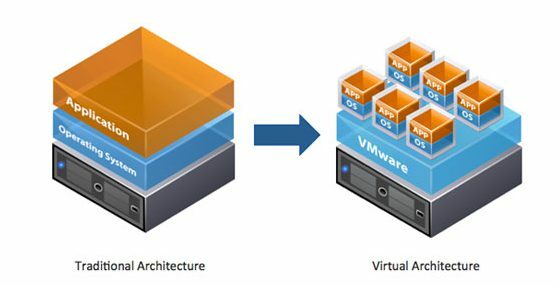 Exalticor can help you start to transition to the inarguably valuable benefits of virtualization by partnering with you to determine which applications and portions of the infrastructure require transformation and how to effectively consolidate and manage virtual servers within a traditional environment. Exalticor offers services in the areas of virtualization design, development, and on-going management to address your organization’s virtualization needs. Exalticor offers consulting services to assess, design, and implement highly available IT solutions that leverage virtualization, as well as streamline redundant and under-utilized resources. Our certified and experienced teams will help you create a virtual infrastructure guaranteed to meet your business objectives.